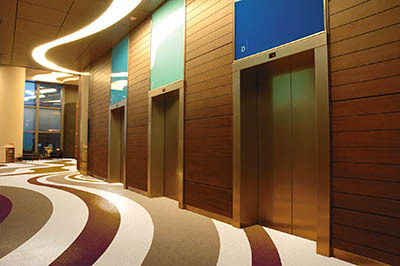 Estrie Products International manufactures and distributes commercial flooring throughout America. Through nearly a hundred years of careful growth, we have built a reputation for the quality of our products and the sincerity of our commitments to customer service. Sources, Processes, Products: these words sum up our commitment to the environment. Our goal as a company is to exercise our ecological responsibility from sourcing to manufacturing and beyond, all the way to the environmental effects of our products long after they are installed. 12 Distributors covering the U.S. and Canadian markets. Supported by Regional Managers. 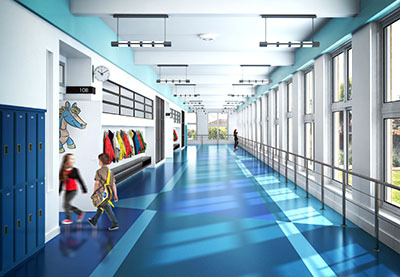 Our AB Pure collection of rubber flooring with a revolutionary "color perfect" formulation. A breakthrough in technology delivering totally clean and crisp colors along with unrivaled colorfastness. The first PVC/VOC-free polyolefin tile introduced in North America, Stonescape gets top marks for heavy-wear environments. It outshines the competition with a versatile 36-colour palette delivering perfect tone-on-tone harmony throughout the line. 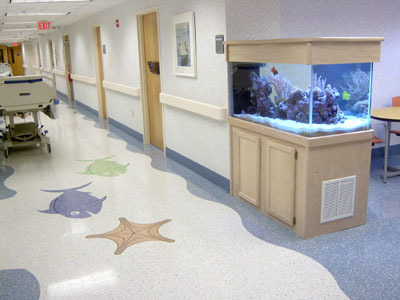 Texas Granite is backed by decades of experience supplying flooring to healthcare and institutional facilities alike. This unique formulation is extremely dense, homogeneous, and low maintenance. 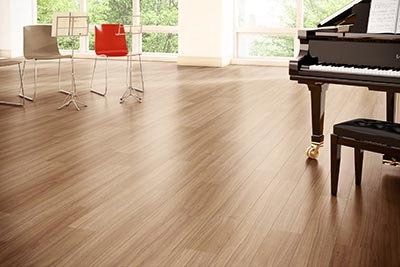 Sonata will have everyone singing the praises of its new line of luxury vinyl tiles and planks. This collection incorporates a 0.5 mm wear layer that includes aluminium oxide for superior scratch and stain protection. Taking its cue from the forests of the world, Mirra's naturally classic yet discerningly warm appeal embraces the elements of yesteryear while maintaining its innovative approach. Luxury 500 vinyl tile was developed for medium to heavy commercial and residential use. Available in thirteen embossed realistic patterns, the collection is crafted around two visuals, Stone and Wood. 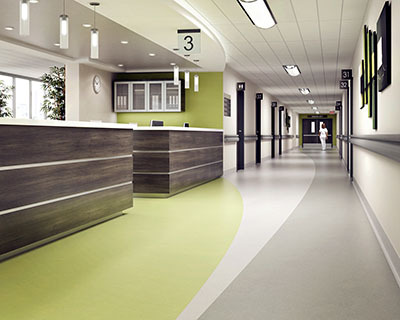 TecCare is a MOBILE commercial floor with its unique, easy to lay, vinyl plank system, raises the bar for ease of installation and resiliency in some of the most demanding environments in the world. 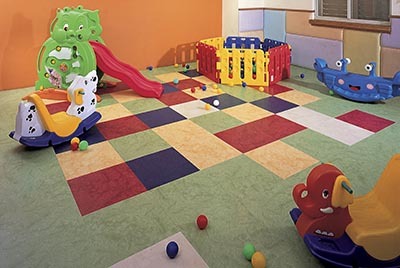 Marathon Oasis rubber flooring distinguishes itself through its countless functional and aesthetic attributes. 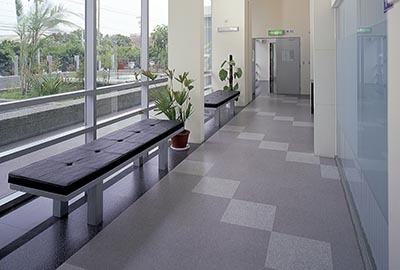 Perfect for various commercial applications from education, retail to healthcare, Oasis is durable, slip-resistant and easy to maintain. Inspired by the elements of earth, wind, fire, and water, Fortress Elements vinyl composition flooring has a varied and vibrant color palette. 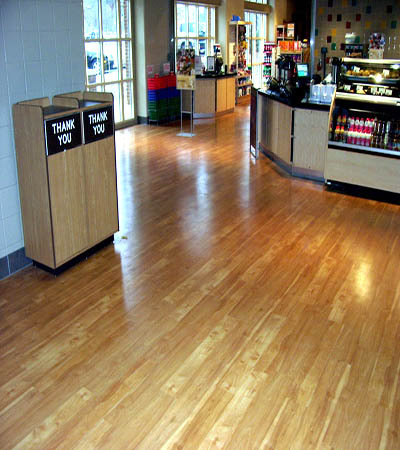 A low-cost, durable choice for high traffic areas. Stonescape is America’s first and only flooring alternative containing NO PVC, halogens, plasticizers, chlorines or asbestos and emits NO harmful VOCs (Not low, NO) into the environment. Beyond it's environmental benefits, Stonescape is an exceptional product designed to solve common flooring challenges in the workplace.